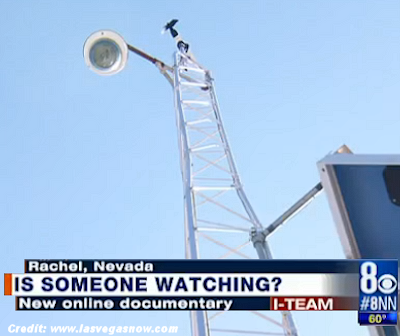 Is the military using civilian weather stations to keep tabs on people poking around public land near Area 51? That's the latest theory from a long-time Area 51 watcher. The I-Team's Glen Meek took a look at allegations contained in a new online documentary and reached out to civilian scientists for their explanation of what's happening. In the central Nevada hamlet of Rachel, the center of commerce might be the Little A'Le'Inn. It's a bar and grill known worldwide for its proximity to the isolated government air base known as Area 51. Some believe captured alien spaceships are stored at the base. What’s Happening at Area 51?